From its early years as a "Personnel" function, HR has evolved in emphasis with the times through industrial psychology, organization dynamics, compliance and legal, and working hand in hand with finance. In other words, it's been all over the place. In Whole Brain Thinking terms, though, the function has been pretty consistent. The focus traditionally has been heavily on the green, B-quadrant aspects of processes, structure, contingency planning and "rules," combined with some red, C-quadrant employee engagement activities. More recently, a new era of people analytics and Big Data, combined with new systems and platforms, has pushed HR into paying greater attention to A-quadrant issues like analysis, technology, and finance. But even these often serve a "green" purpose: what can we learn from this information to streamline processes, increase efficiencies, improve planning, optimize employee output or minimize risk? So this new attention to the workplace experience is a welcome development. The rationale is pretty simple: With the changing expectations of today's millennial workforce and an increasingly competitive talent market, the experience you provide plays a key role in improving employee satisfaction, engagement, productivity and retention. It's up to HR to not only find and develop talent but to create an environment where talented people want to work and want to contribute their best. But what does it mean, in practical terms? How do you go about creating the employee experience that drives your critical business and talent goals? Is it about the benefits and perks? Innovative office design? Leveraging the latest and greatest technology? Simplifying processes? Building emotional connections? Of course, the answer is all of the above and then some and that can seem like a pretty tall order. One thing's for sure, though. A single-minded focus in any one area isn't going to do it. Now more than ever, Whole Brain Thinking is essential. It not only provides a pathway to deconstructing the complexities of this employee experience concept; it's also the only way to meet the needs of employees and the business going forward. Fortunately, the Whole Brain Model provides an excellent organizing principle for helping you do just that. Follow these four steps to get a clearer perspective on the task ahead and ensure you're covering all the thinking bases. Assess and Analyze (A quadrant): It may seem obvious, but until you know where you are, you can't go anywhere. The good news is, mountains of data have never been more readily available. The challenge: making sense of mountains of data. Focus on analyzing the data that helps you hone in on current state issues and articulate your goals and objectives. Look for trends and insights related to culture, values, performance and retention issues. What do they tell you about the changes you need to make and the tools you need to provide to improve employee satisfaction and productivity? Get Future-Focused (D quadrant): As it stands, the workforce is evolving and transforming faster than HR, leaving HR at serious risk of losing traction, credibility, and relevance. Take a step back from the trees, and you'll get a better picture of the forest. How does the company's overall direction and strategy inform the future of the employee experience as well as who you need to attract and retain? What can you learn from other disciplines and examples, like marketing and customer experience? Here's where you begin to develop that clear vision of this new future state and what the ideal employee experience looks like. Support and Reinforce (C quadrant): You can change the name of the function, but it's still all about the human beings at the core of your business. And no two human beings are alike. 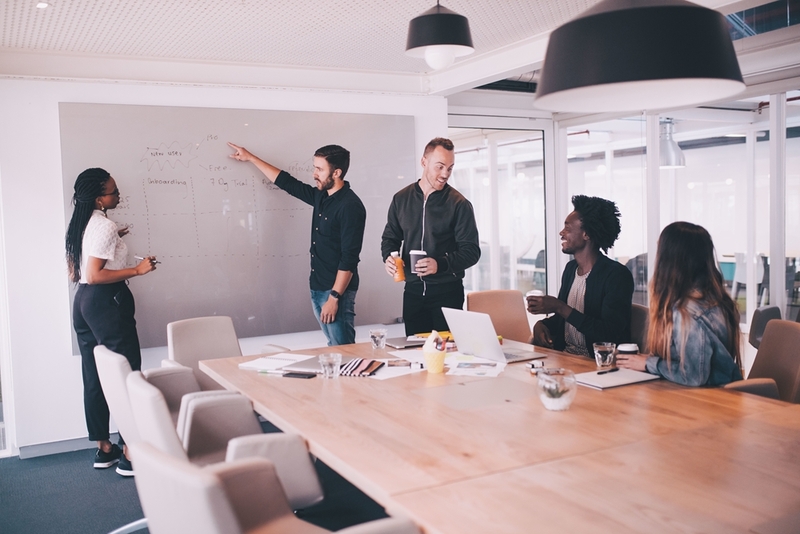 Understanding what different employees care about, where their strengths lie, what their motivations are, and how they prefer to think and get work done is an essential component of creating an employee experience that connects with your employees. The HBDI is a great starting point for understanding not just how different people think but also how well aligned they are with their jobs and responsibilities, and what development, tools and support they need to stay motivated, connected, challenged and engaged. Perform and Measure (B quadrant): While HR has sometimes defaulted too heavily in the direction of B-quadrant activities like planning and structure in the past, that doesn't mean they aren't still an important part of the equation. In a constantly evolving environment, execution and measurement are critical. Put your B-quadrant thinking to work to benchmark, measure and continually refine and re-assess. Volatility and change are part of the workplace now. As internal and external circumstances change, you have to be on notice and agile enough to adapt. The future of HR isn't just about analytics or policies or emotional connections or innovative perks. It's about all of these. Adopting a Whole Brain approach is the only way to meet the expectations of today's workforce, address new business realities and remain relevant in your role no matter what you call it.